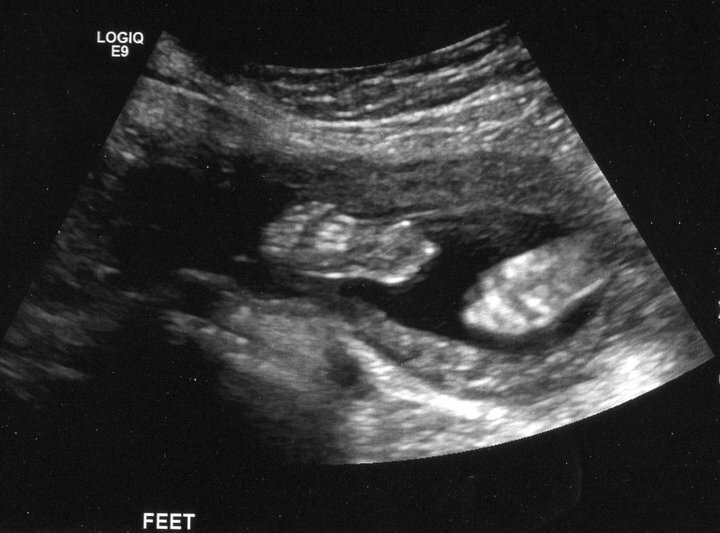 Thank you everyone for your sweet comments when I announced that we are having a girl! It's so fun to share our news and see how happy everyone is for us. We are so lucky! 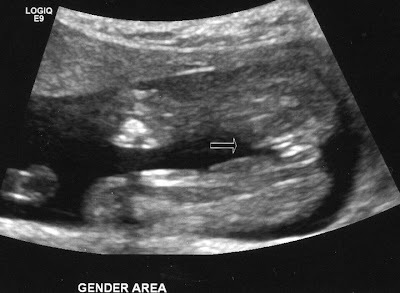 We were and are so excited to be having a little girl! It's still sinking in, but let me tell you....I went shopping to buy a friends baby shower gift for this Saturday and while I was there, I couldn't help but get excited that soon I will be able to dress my baby girl up in some of those ADORABLE outfits! Dresses, bows, tights, little bathing suits..... I can't wait! I always loooooved all the little girl stuff in the stores but for some reason I always assumed I would have a boy so I never let myself get excited about the girl things. I'm so excited!! 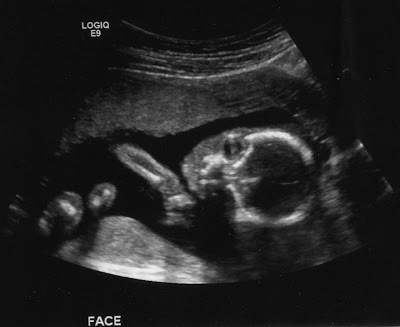 Here are some pictures from our ultrasound on Tuesday. They are blurry and it was hard to get a good profile picture because of the position baby girl was in, but you get the idea! Well, hello there little girl! As you can see, there is nothing between her legs and there are three white lines that determine she is female. My baby bump is starting to be more and more noticeable. On Monday we went to get icees before we went to the movies to see Fast Five (which was actually good, btw) and the lady at the register was all, "I'm taking a huge risk in asking this but, when are you due?" I got so excited and told her that she was the first stranger to notice (well, notice and say something at least). 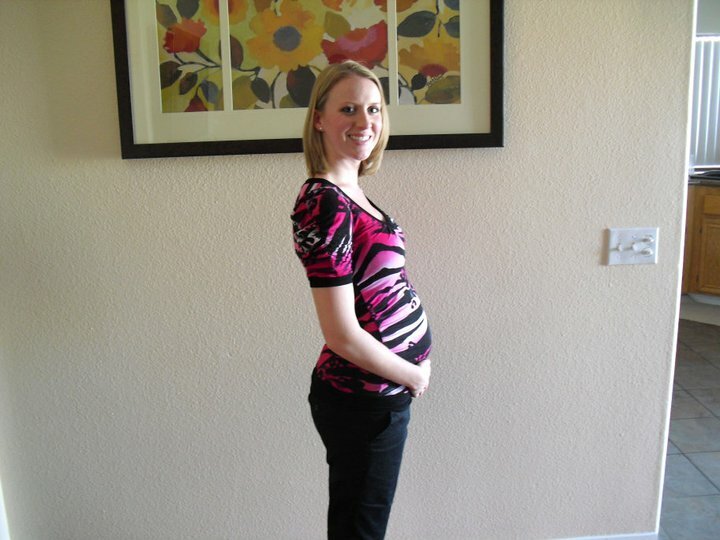 Could you imagine how insulting it would have been if I wasn't pregnant?! lol. She asked about the gender and at that time we didn't know yet. We went back for more icees yesterday and she was there. She remembered us and we told it her it's a girl :-). I have a feeling we will be seeing a lot more of her as the weather keeps getting hotter. $ .89 cents for any size slurpees? Yes! P.S- Has anyone else had a Pure Chocolate from The Coffee Bean? It's simply amazing. I would have it every single day if I could. It's like an iced hot chocolate. You look so cute! And I totally thought boy too. But now you get all the CUTE girly stuff in the stores! How exciting!! You look amazing! I just happened across your blog today! CONGRATS!! That's so exciting : ) You look great, what a perfect little baby belly! By the way, I'm giving away a heel condom on my blog. Don't let the name fool you, it's an awesome accessory that will spice up and transform any heel! Go to http://www.l0velindsey.com to enter! aww youre so cute and tiny. 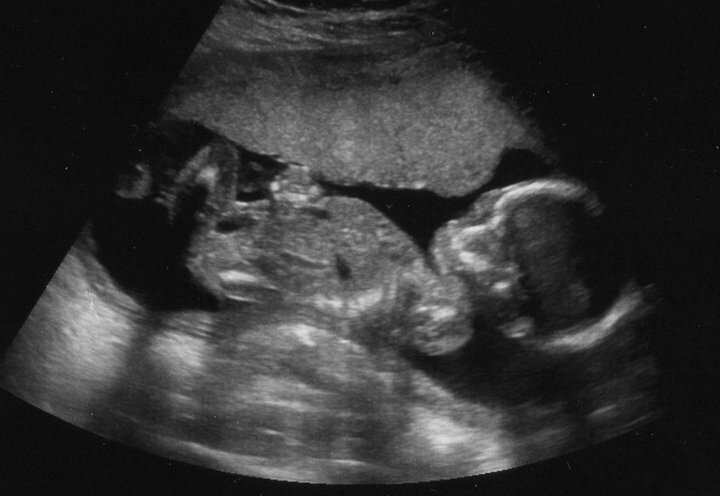 It is really risky to ask someone when they are due. I never do it because you just never know...Some people have really weird body types. Its been pretty warm lately and Im sure in the IE its been even warmer. Starbucks Iced Chai Lattes have become my obsession again.